“A double-milestone year for jazz, 2001 marked the 75th anniversary of the births of both Miles Davis and John Coltrane. With that in mind, Herbie Hancock went on tour with a quintet modeled after his V.S.O.P. bands of the ’70s and ’80s and the Tribute to Miles band of the ’90s, which in turn were modeled after the 1965-1968 Miles Davis Quintet. 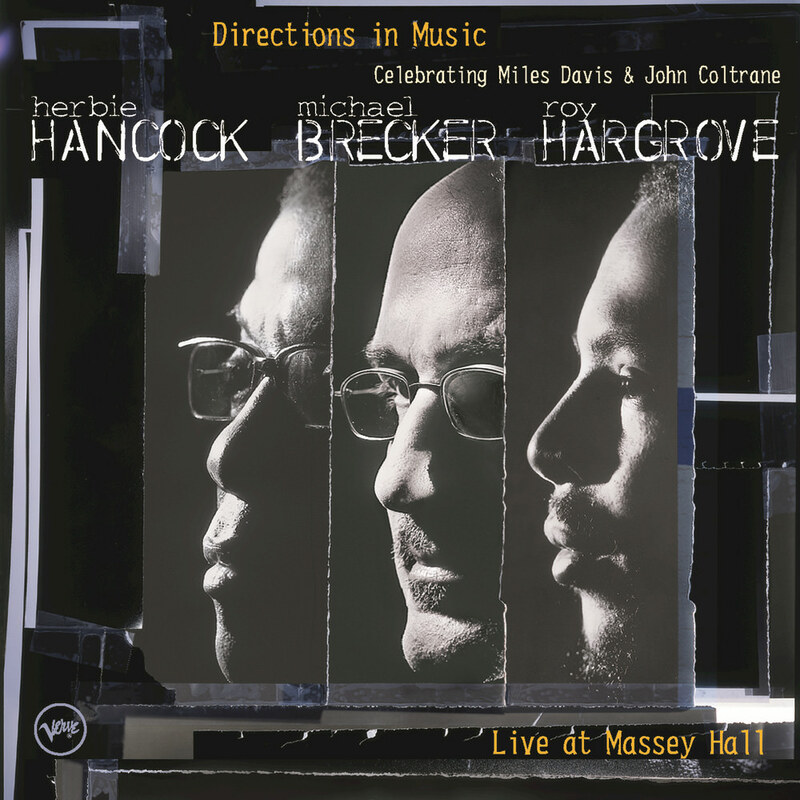 Brecker provides the most fervent individual statement with an unaccompanied rendition of “Naima” that amounts to a virtual encyclopedia of tenor saxophone technique. Roy Hargrove does a serviceable job on trumpet and flügelhorn, trying to fill some heavy shoes, and as accomplished as the rhythm team of John Patitucci (bass) and Brian Blade (drums) is, you miss the irreplaceable combustion of Ron Carter and especially the late Tony Williams (compare the original Davis recording of “The Sorcerer” with this inward, less dynamic, less driving version). Directions In Music won two Grammy Awards in 2003: Best Jazz Instrumental Album, and Best Jazz Instrumental Solo for “My Ship”.